Envisioned as a monument to Malaysian urban design and public architecture, the planned city of Putrajaya covers 4,932 hectares (12,187 acres) of repurposed plantations. Like most hubristic building projects, things didn't go quite as intended, and the influx of residents and developments never quite arrived, at least not in the numbers expected. A tour of Putrajaya, around its eight-lane highways, reveals immaculate landscaped parks, vast artificial lakes, gargantuan public buildings, a pink mosque, and a conspicuous lack of occupants. Sightseeing done, you'll soon run out of things to do. 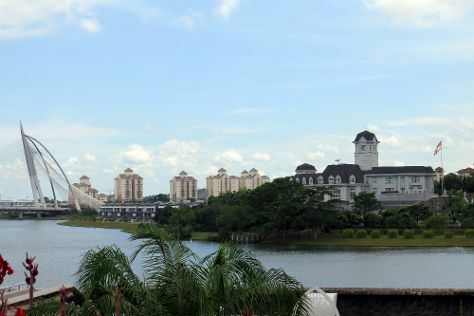 Putrajaya is in Wilayah Persekutuan. Take stress off the schedule by using our Malaysia trip app .